Moving from painting to painting, I counted the steps I needed to make before reaching the exit. Slower, I thought, don’t walk so quickly. And so I stopped at the painting before me, cocked my head, and pretended to absorb the beauty. Art had never been easy to understand. Imagery, history, and emotion compressed onto a canvas, expressed only though colors and strokes. Yet I found myself visiting a museum with two art enthusiasts, who, every few minutes, would proudly shriek “Oh how I love this painting!” and gush over the skillful technique and the elegant brushstrokes. As people shuffled around me, admiring one painting after another, I absentmindedly marched toward the next painting on the wall, the Renoir next to the exit. The door was so close. 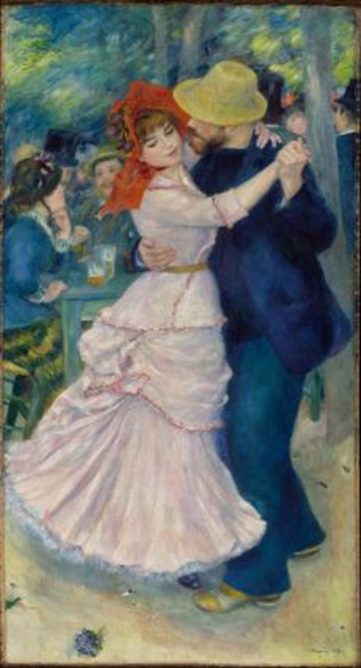 It would have been easy to slide across the threshold undetected, but I inexplicably stood immobilized, staring at Renoir’s Dance at Bougival. Pierre-Auguste Renoir, Dance at Bougival, 1883. Oil on canvas, 181.9 x 98.1 cm. Surprised, my friends stared, open-mouthed, unsure how to react. I nonchalantly walked away, secretly thanking my Art Gallery at home. 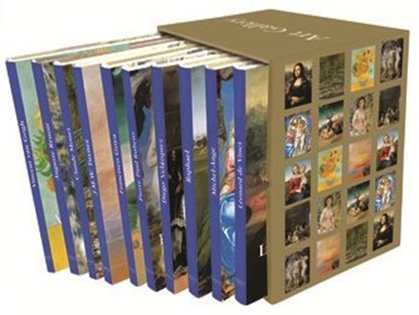 That one little box with ten books. Ha! Good for you. I love surprising people with my smarts too once in awhile. :). Nice set of books btw.